Monroe County (pop. 137,974) is west of Brown County. It’s one of 18 Monroe counties, all named for James Monroe (1758-1831), fifth president of the U.S. 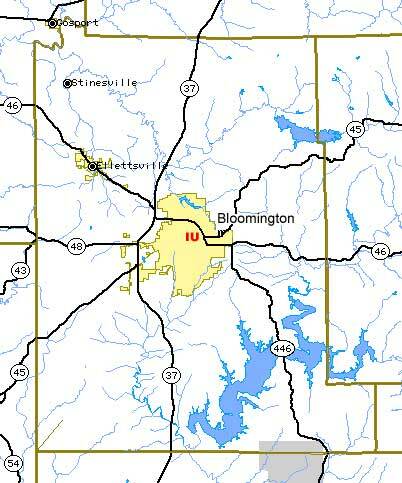 The county seat of Monroe County is Bloomington (pop. 80,405), seventh-largest city in Indiana. Bloomington is the home of the flagship campus of Indiana University, founded in 1820. IU Bloomington, known for its Indiana limestone buildings, has more than 40,000 students. Famous graduates of IU include actor Kevin Kline, journalist Jane Pauley, businessman Mark Cuban, composer Hoagy Carmichael, and the a cappella group Straight No Chaser. 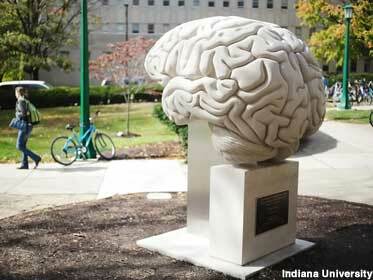 The World’s Largest Anatomically Accurate Sculpture of the Human Brain is on the IU campus. The limestone brain weighs six tons. 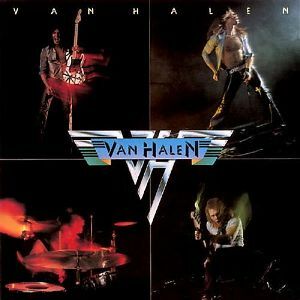 David Lee Roth, lead singer of Van Halen, was born in Bloomington. Most of the 1979 movie “Breaking Away” was filmed in Bloomington. 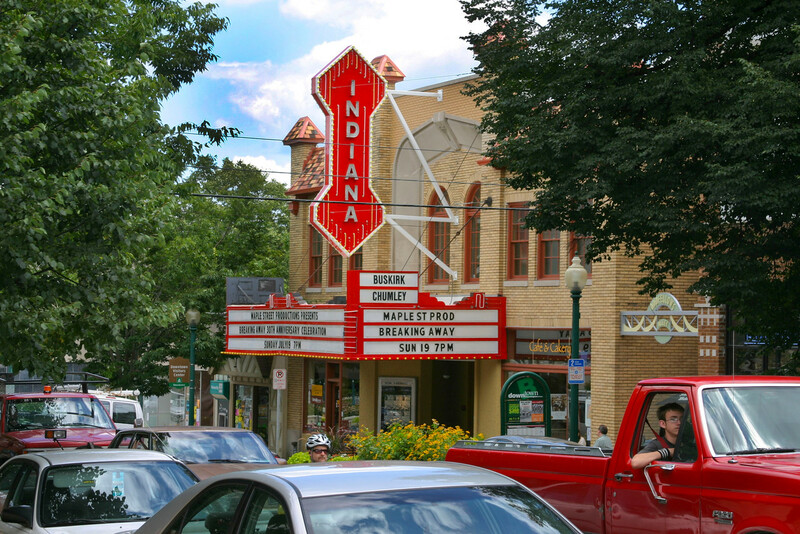 The Indiana Theater (1922) in Bloomington is now the Buskirk-Chumley Theater, hosting a variety of concerts and other events. The town of Ellettsville (pop. 6,378), northwest of Bloomington, is the starting point of the annual Hilly Hundred bicycle tour, a two-day event that attracts about 5,000 cyclists from around the country. Lake Monroe, southeast of Bloomington, is the largest lake entirely within the state of Indiana. It was created in 1965 by the damming of Salt Creek. 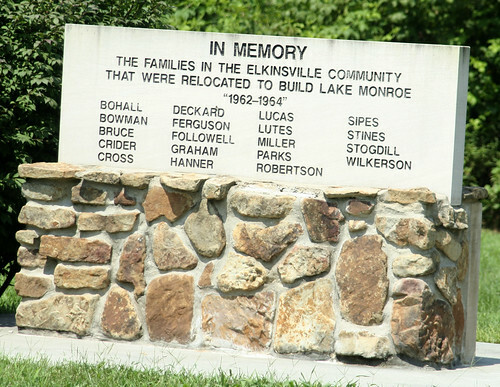 The community of Elkinsville was evacuated to make room for Lake Monroe; as it turned out, elevation estimates were incorrect, and the lake’s waters never reached the town. This entry was posted in Indiana and tagged Bloomington, Breaking Away, David Lee Roth, Hilly Hundred, Indiana University, Lake Monroe.